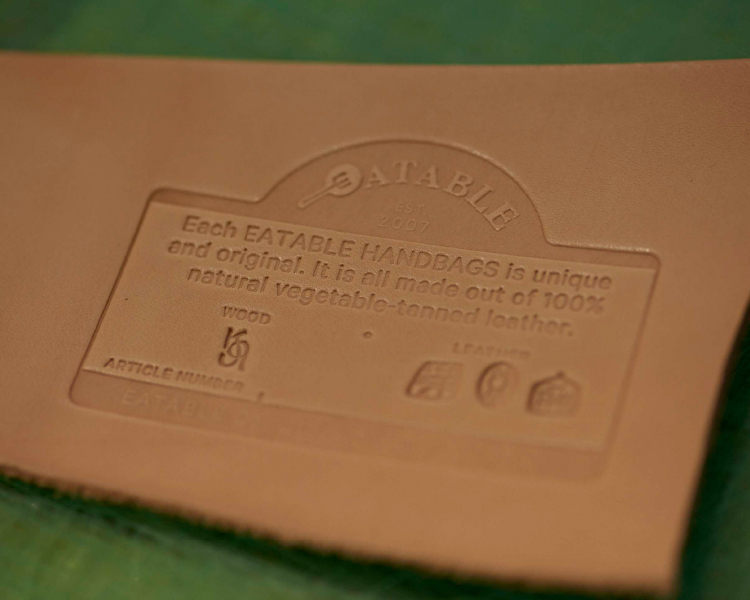 Each EATABLE handbag is handmade. 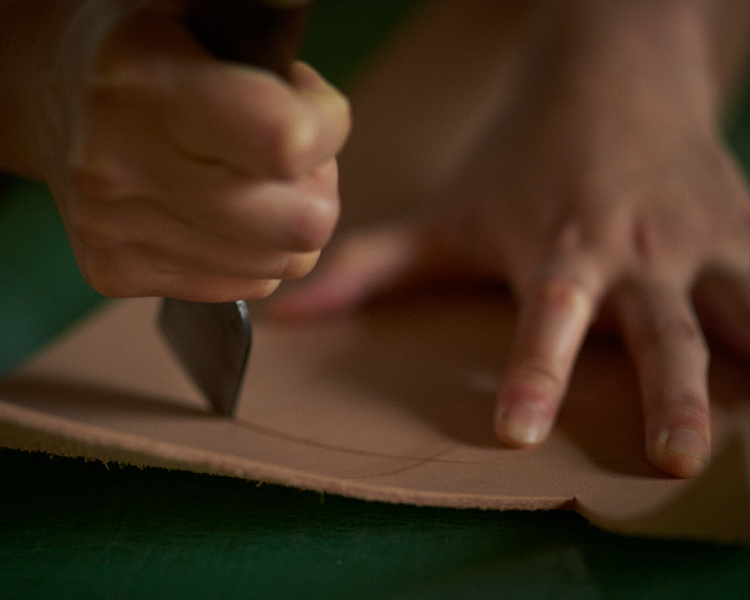 The stamps of the signature by leather and wood craftsmen who were responsible for the production and serial number on the product prove it. 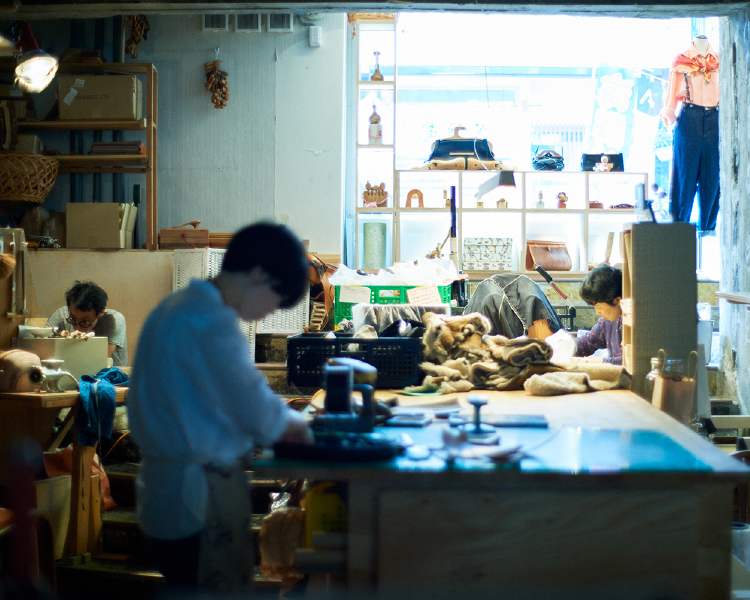 All leather parts, from samples to the finished products, are produced at our atelier in Atami. 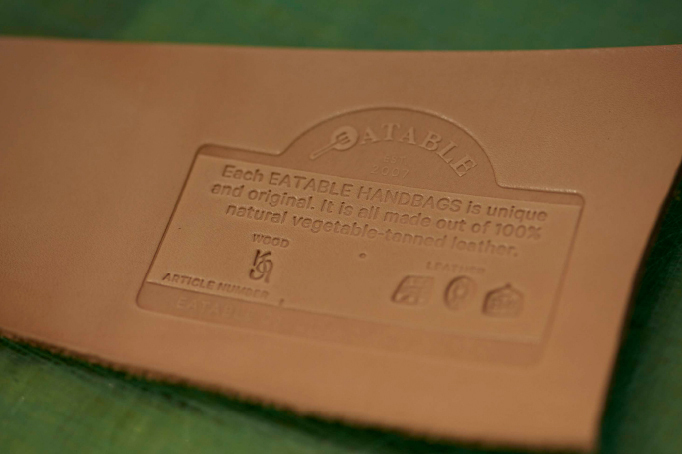 Our signature bag " Hanger bag" series is our first creation out of our atelier and represents all of EATABLE values. 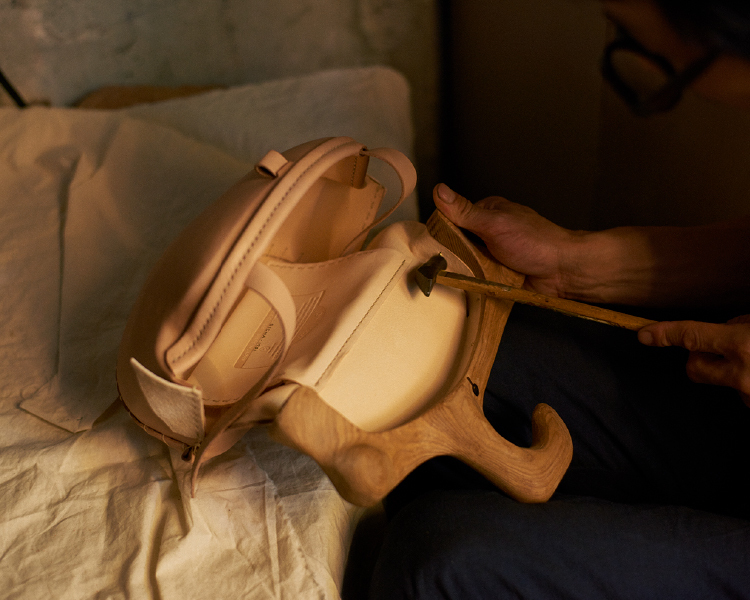 The in-house craftsmen carefully choses the material, cuts out the pieces, wets and molds into correct shapes and does the stitching. 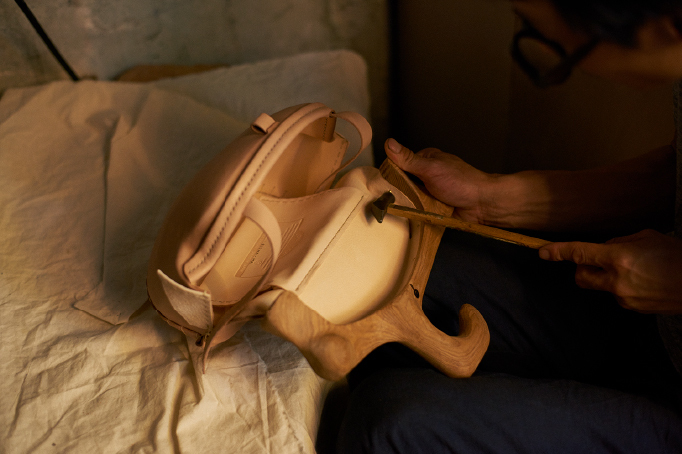 Needless to say, the finishing process such as installation of brass parts and the treatment of the leather edges are executed with the utmost care and precision. 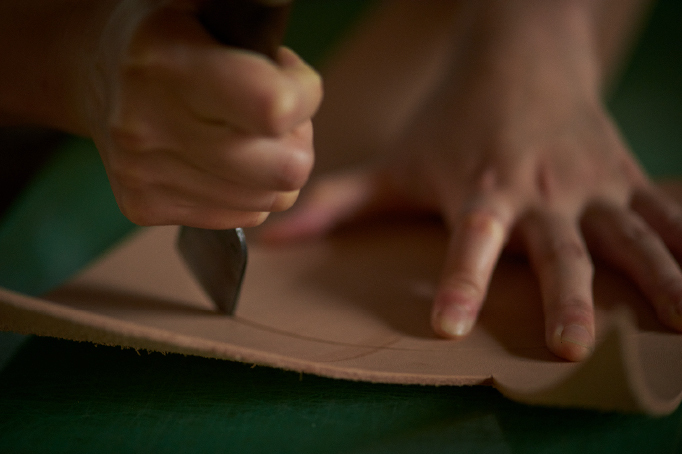 In "Tin bag" series, stencil techniques are applied to draft leather patterns, and a press machine is used to cut out with precision. 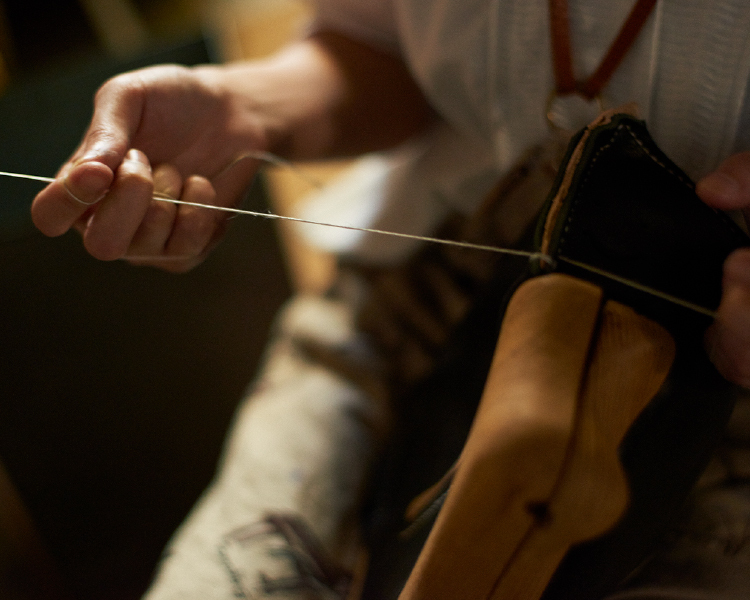 Sewing machines are used, but because EATABLE uses soluble glues to control its ecological footprint, hand-sewing becomes an important procedure to complete the product. 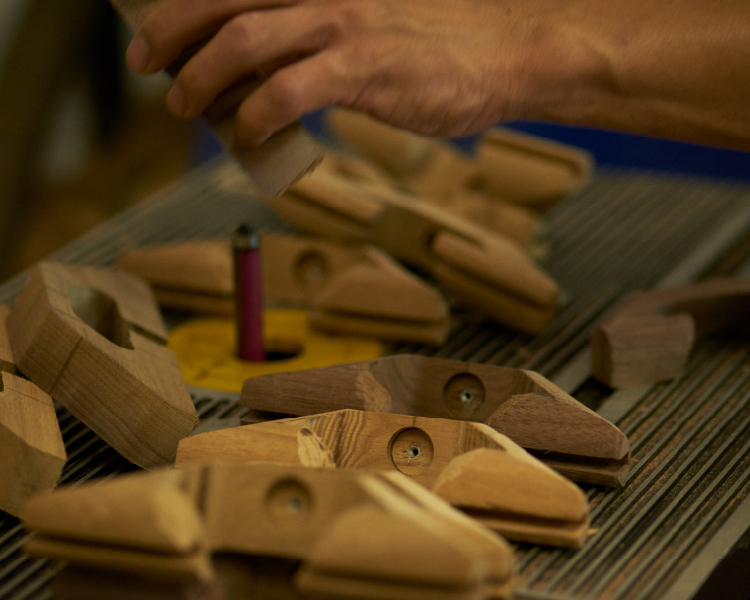 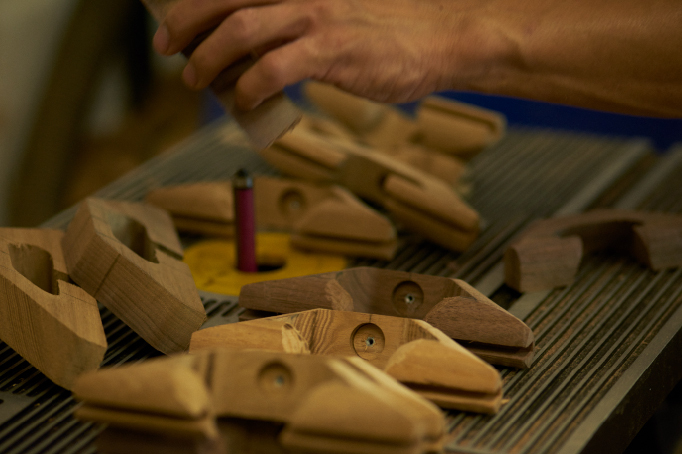 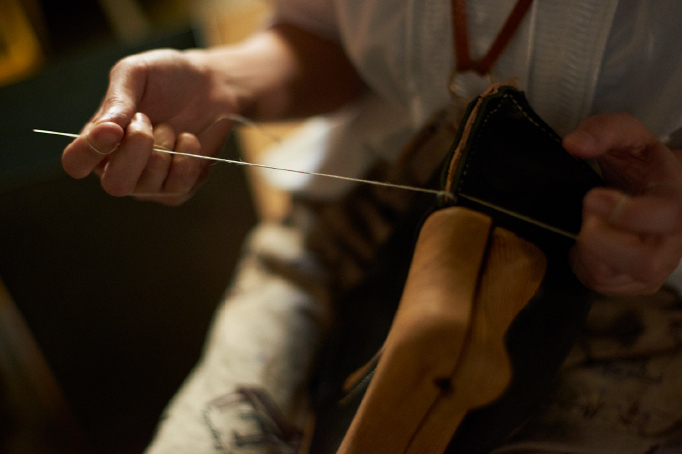 Our love for craftsmanship and our care for the environment add character and warmth into our products. 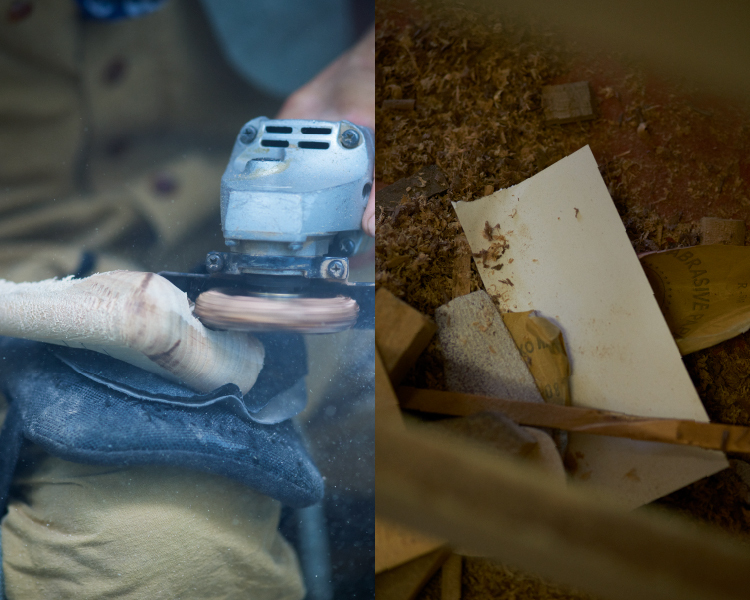 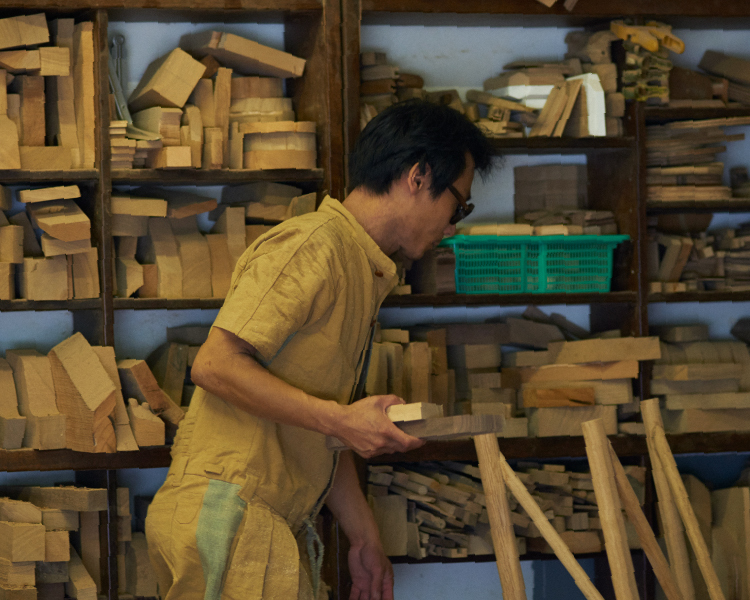 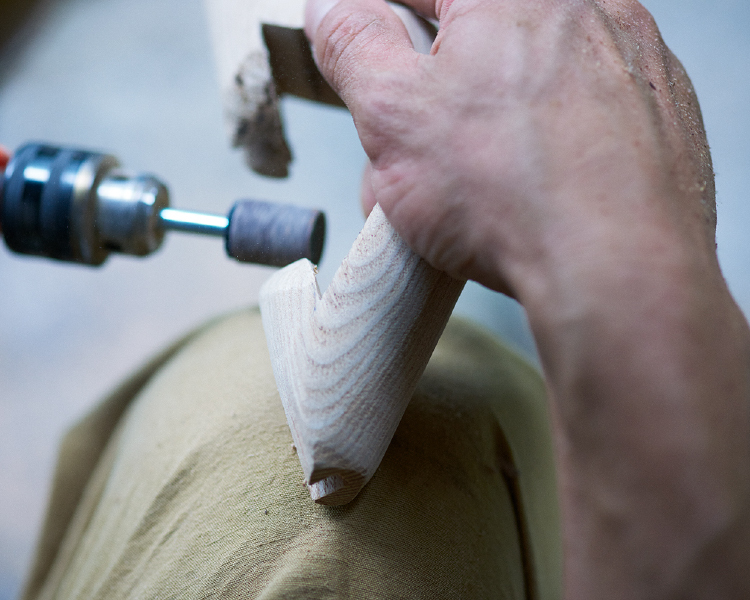 The wood workshop is situated in the mountains of Atami, a 10 minutes drive from our atelier. 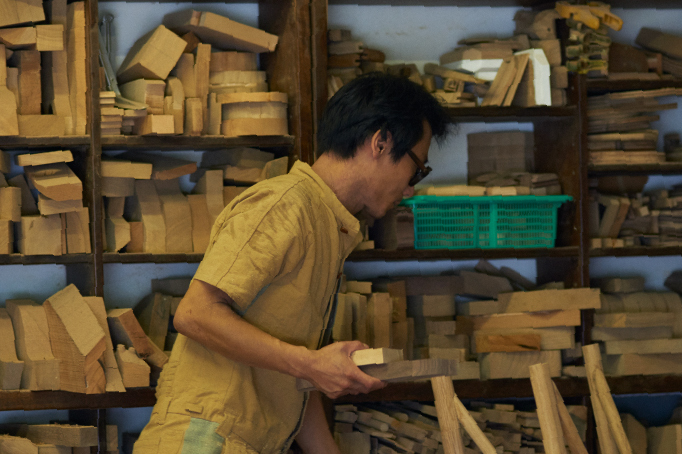 Koji Arai is not only the designer of EATABLE products, but also is in charge of the production of wood parts. 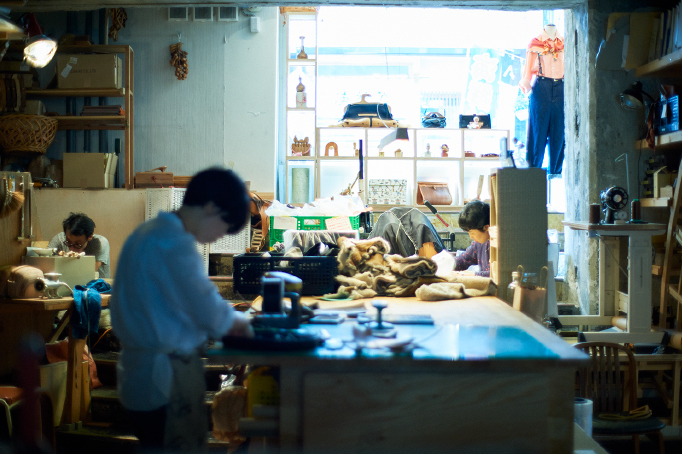 Since the foundation of the brand EATABLE, his responsibility has not changed. 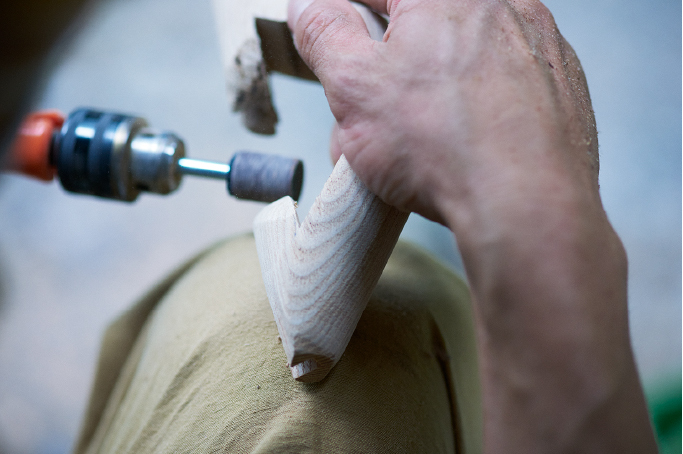 Another element of his work that has not changed is his unquenchable thirst to work with material of natural origins.